A European delegation of panda fans arrived at the Jiuzhaigou scenic area in Sichuan Sunday to experience the charm of local tourism. Jiuzhaigou was the fifth and last stop of the delegation’s tour in the Aba Tibetan and Qiang Autonomous Region. The Aba tour had taken them to Zhuokeji Tusiguan Village in Maerkang county, the Hongyuan Grassland, the Zoige Flower Lake, and the Huanglong scenic area. After wrapping up their stay in Jiuzhaigou, the fans will leave for Jiange County and Zhaohua District of Guangyuan City, the Sanxingdui Ruins, the Grand Buddha in Leshan Mountain, and Emei Mountain. The delegation, consisting of fans from Britain, France, Germany, Spain, Belgium and Austria, entered the Jiuzhaigou scenic area on Monday morning. 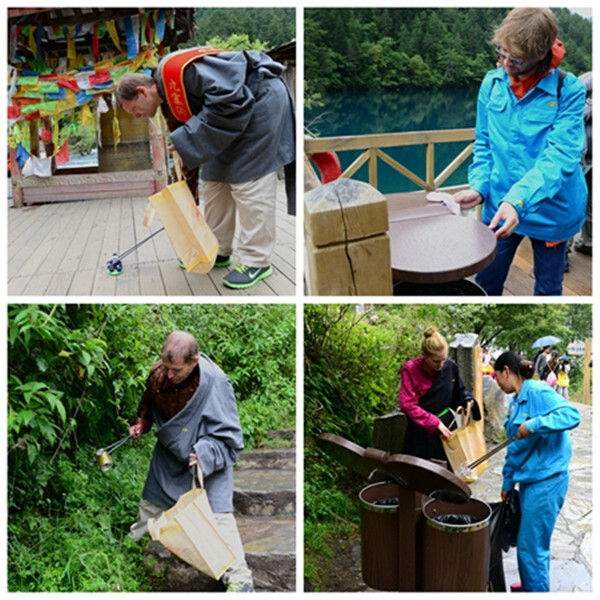 Dressed in the uniforms of local sanitation workers and wearing ribbons bearing the characters “Jiuzhaigou•Panda fans,” they experienced this most ordinary but strenuous and busy job of the scenic area. They then toured the scenic spots of the area. Fascinated by the scenery, they were full of praises and expressed that they would surely vigorously publicize the beauty of Jiuzhaigou and Aba when they are back home. The European delegation is visiting Sichuan as part of an international tourism promotion program “Travel the Southern Silk Road, Visit the Homeland of Panda-European Panda Fans Travel to Sichuan" launched by the province. Through activities like learning Guozhuang dance, making buttered tea and Zanba, and working as volunteers, the European delegation appreciated the unique natural and ecological beauty, experienced colorful Tibetan and Qiang folk customs and culture, and felt the huge social and economic achievements of Aba and the happy life of people of different ethnic groups. The program is a big initiative of the province in its international marketing and has been enlisted as one of the ten themed marketing projects in 2015 by the National Tourism Administration. Since its introduction, it has attracted extensive attention from media organizations both at home and abroad and the feedback is strong. 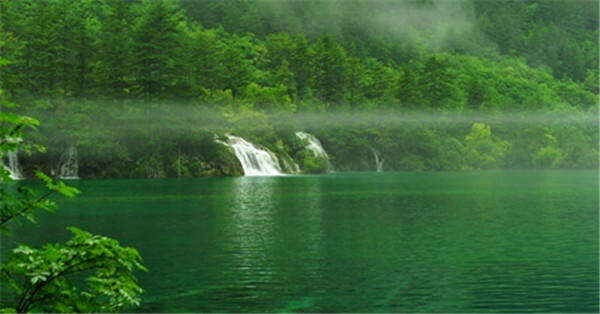 Centering around the national strategy of “One Belt, One Road” and the annual theme of Silk Road by the National Tourism Administration, Jiuzhaigou will regard the tour by the panda fans as an opportunity to accelerate the realization of the strategic objective of building Jiuzhaigou into a global tourism destination. It will further show and publicize the image of its tourism products and enhance its popularity and fame internationally.